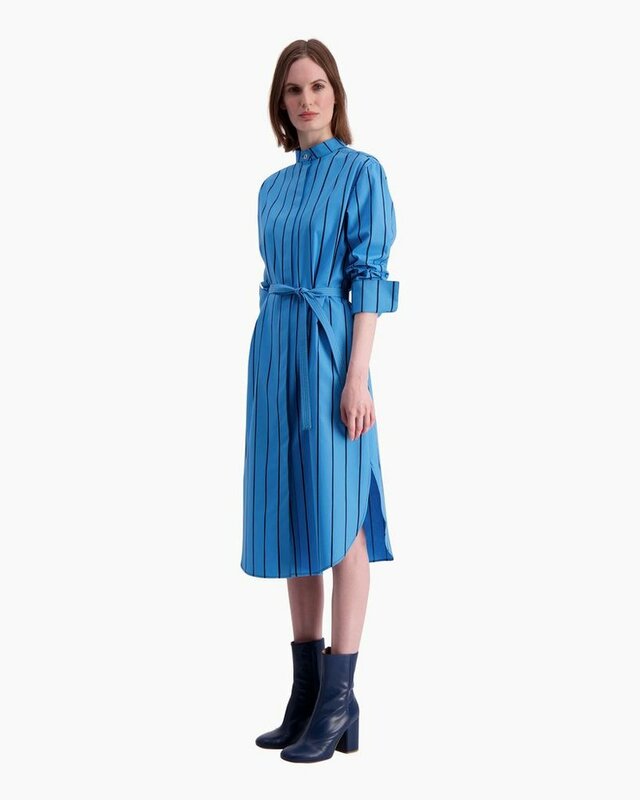 The Paju button-up dress is made of crisp cotton poplin and features the lively blue and dark blue Kiskoraita pattern. 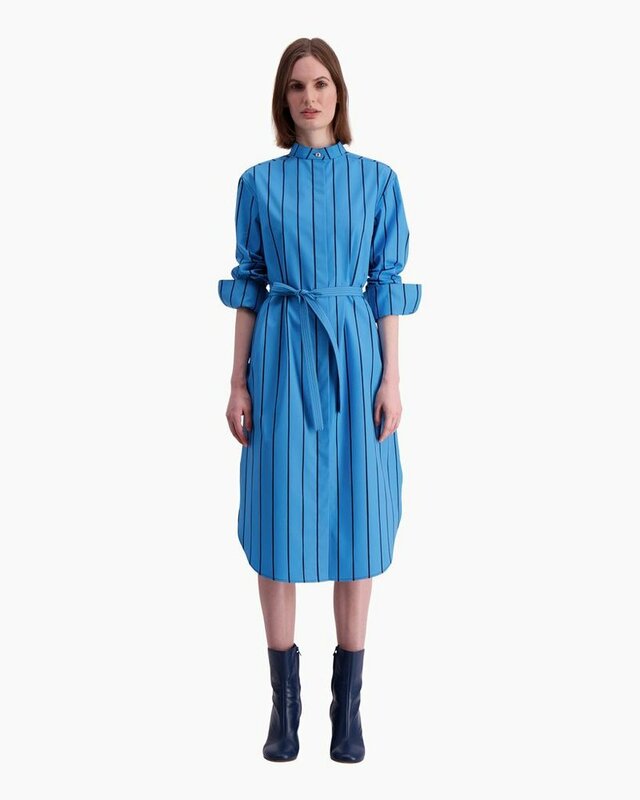 The mandarin collar allows for a concealed button closure and a round-cut hem that ends below the knee is also featured. 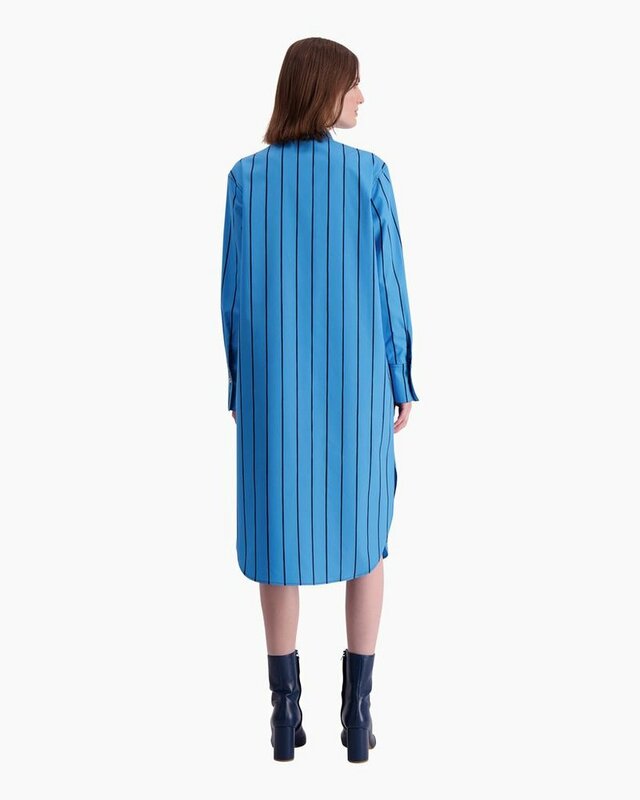 The long sleeves have wide cuffs and the dress includes a detachable stitched belt and side seam pockets. Main Material: 100 % Cotton Follow the washing temperature given. Wash with like colours. Wash inside out. Close buttons before washing.